Eileen Pieczonka is an award-winning author of her Blueberry Bear series inspired by her reading therapy dog Jamie. Eileen and Jamie were a therapy team visiting libraries to help enhance children's reading skills. Eileen is also a children's literacy and animal welfare advocate. 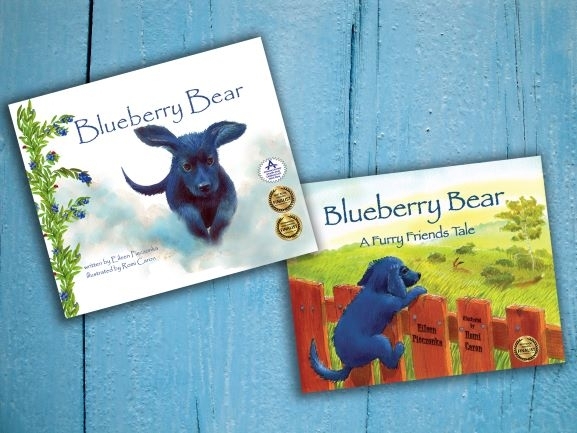 Blueberry Bear is a fun, down-on-the farm story about a puppy named Bear and her unruly day of the Bubba Farm as she turns blue by rolling in the blueberry field. Blueberry Bear A Furry Friends Tale is about Blueberry Bear escapes the farm in search for a friend. She will learn lessons of friendship, trust, courage, and acceptance. This is the first book of Blueberry Bear's adventure trilogy.